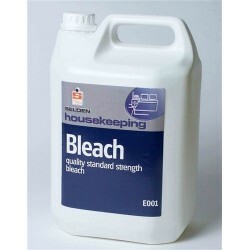 We stock a full range of housekeeping chemicals to cover all jobs. Whether you require air fresheners, hard surface cleaners and glass cleaners, bleachs and disinfectants, odour control fluids, washroom cleaners and sanitisers, bathroom and toilet cleaners, furniture polishes and many multi-purpose cleaners. Contact us for the full range and advice on any of our products. Act Apple Stainless Steel Toilet Cleaner 1 litreViscous formula clings longer for more thorough ..
Act Original Stainless Steel Toilet Cleaner 1 litreViscous formula clings longer for more thorou..
Act Original Stainless Steel Toilet Cleaner 5 litresViscous formula clings longer for more thoro.. Product DescriptionCovchlor Tablets are based on a blend of patented effervescent base with an ..
quick, effective, woolsafe application	For removal of chewing gum from all types of carpet. Perfo..
Pro-dis Fast Dry is a specially formulated rinse free disinfectant for daily cleaning use within the..
DescriptionHighly fragranced detergent blocks to clean and freshen urinalsFeatures & Ben.. Description	Highly fragranced detergent blocks to clean and freshen urinals	Features & Benefits.. Meets current Health and Safety requirements to contain a biohazard spill. Designed for in..
Synergistic blend for enhanced biocidal activity. All round hotel washroom maintainer. Cleans a.. Refreshing Citrus fragrance. Multi purpose product suitable for all water washable non-food con..
To clean, shine and protect furniture, tile, marble, stainless steel and most plastic and vinyl..